Getting accepted into a top-tier college or university is more competitive than ever – along with a good GPA and extracurricular activities, a good ACT® score is an important factor for gaining acceptance to the best universities. Investing in a paid test preparation course to raise your ACT® score is an easy way to help increase your score and incurease your acceptance rates. Whether preparing for your first ACT® or looking to improve your score, Erasmus Center offers a variety of options to get the best score you can acheive. We offer a Free Practice Test which simulates a real exam. Based on your exam results, we create a personalized and one-on-one solution and make an offer for your ACT® training course. Using our proven teaching methods, we provide personalized and flexible learning options for you to choose – including featured one-on-one tutoring and small groups. We use personal support and key ACT® books and practice materials as you interact with our expert and enthusiastic teachers. The Erasmus Center also offers on-going Free Saturday Seminars monthly on various exams and topics related to exams and admissions. Ready for the ACT® Exam? The Erasmus Center is providing a FREE LIVE ACT® Practice Exam in Brussels. This Practice Test is designed to create an individualized study plan based on your score on the diagnostic test. Based on your ACT® score, our Education Consultants will recommend a paid tutoring plan that would best suit your needs. Why is live tutoring better than online tutoring? You’ll get personal help and feedback from the teachers. Working with a live person will give you the advantage of feedback – which is important in all learning. You will get professional training. Simply knowing the test material is not enough. Our teachers work with you to ensure you have the knowledge and the skills not only for the material but for taking the test in confidence. using the best learning materials now at an amazing price! What is the ACT® English Test? The ACT® English test is a 75 question test that measures the student’s understanding of standard English covering items such as punctuation, usage, and sentence structure. The test also covers the production of writing to include topic development, organization and cohesion. Knowledge of language – word choice ans style – is also measured. The test consists of five essays or passages of which there is a sequence of multiple choice questions about the text. The test questions are numbered and referenced to the text for the questions. The test is timed at 45 minutes. What about the Math Test for the ACT®? The ACT® mathematics test is a 60 question exam which is designed to assess the math skills students have that were typically acquired of students at the beginning of the 12th grade/senior year. The test uses multiple choice-questions that require reasoning skills to solve practical problems in math. Most questions are self-contained. Some questions may consist of several questions referring to a single topic. The materials covered are considered to be the knowledge needed to be successful in entry level colllege math courses. The math test is scored with nine reports – one overall test score for the math section and eight others baed on specific math knowledge skills. Calculators may be used on the exam, however, you should refer to the ACT® website for specific rules. The test is timed at 60 minutes. What is the Science section of the ACT®? The ACT science test is a 40-question test that measures the interpretation, analysis, evaluation, reasoning, and problem-solving skills required in the natural sciences. The test presents several sets of scientific information, followed by multiple-choice test questions. The scientific information is conveyed in one of three different formats: data representation (graphs, tables, and other schematic forms), research summaries (descriptions of several related experiments), or conflicting viewpoints (expressions of several related hypotheses or views that are inconsistent with one another). The test is timed at 35 minutes. What is the ACT® ? The ACT® is short for the orgiinal name American College Testing. The test is a college readiness assessment for high school achievement and college admissions in the United States and a growing list of other countries. It was first administered in November 1959 as a competitor to the College Board’s Scholastic Aptitude Test, now the SAT®. Today the ACT® is administred to over 2.1 million students in all 50 states and other countries. The ACT® is accepted by all four-year US colleges and universities. What is the ACT® Format? 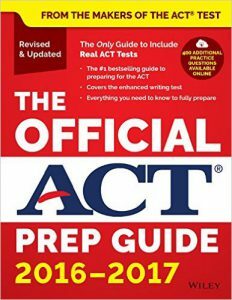 What is the Reading Section of the ACT®? The reading section of the ACT® is 40 questions and measures the students reading comprehension. The test asks the taker to derive meaning from several texts by using reasoning and implied meaning skills. The test has four sections, three contain a long prose passage and one contains two sorter passages. The test is designed to asses the knowledge needed to be successful in a first year college curricula. The Quantitative section tests an individual’s mathematical ability. The quantitative section is timed at 80 minutes. Most math questions will be multiple choice, but some — called grid-ins — ask you to come up with the answer rather than select the answer. Some parts of the test include several questions about a single scenario. Algebra which focuses on the mastery of linear equations and systems. Problem Solving and Data Analysis which is about being quantitatively literate. Advanced Math which features questions that require the manipulation of complex equations. Geometry and trigonometry most relevant to college and career readiness. We are very happy! Thanks for your support. Thanks to your help, I reached my SAT target score and I have been accepted at Brown. I will definitively recommend you! I got a 1980! I am so happy. Now I can focus on my applications. Thanks for your support. Our #1 priority is you aiming your target score. We believe in our prep material and hold ourselves to the highest standards. In addition, Erasmus Center constantly gives free advice customized to your need. ACT® is a registered trademark of ACT®, Inc. which is not associated with Erasmus Center, ASBL. ACT®, Inc., makers of the ACT® test, does not endorse Erasmus Center, ASBL publications, services or products.